Will Oreo help Guardians win an Oscar? Oreo meets more Guardians cast members! Oreo and Friends on CBBC! Tonight’s the night – Oreo walks the red carpet! Podcast interview: Sallie talks Oreo, Rocket and Guardians! 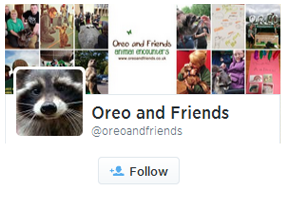 Hollywood News interviews Oreo and Friends! Guardians of the Galaxy trailer released!